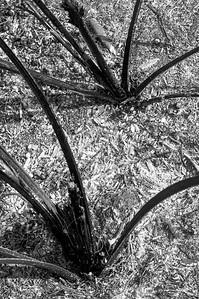 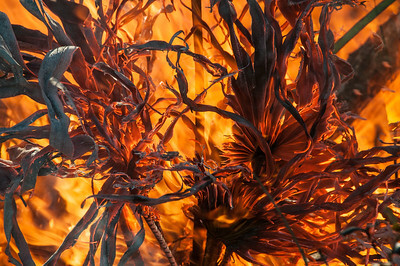 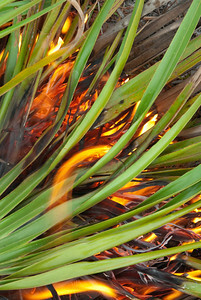 Burned Palmetto trunks. 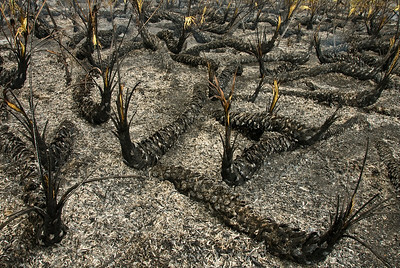 These will resprout within days of the fire. 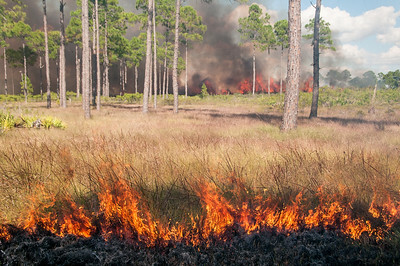 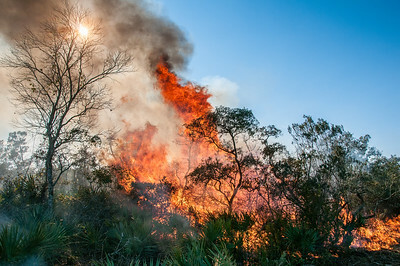 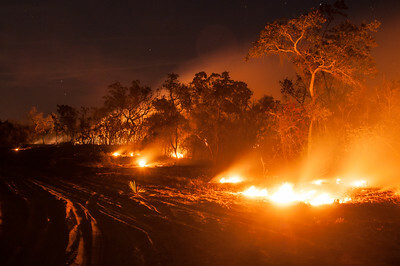 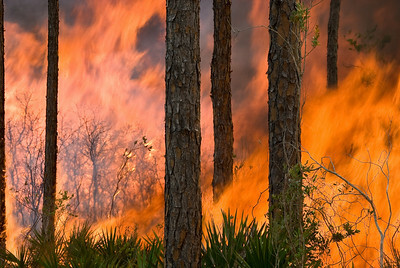 A prescribed fire set in Florida's oak scrub habitat. 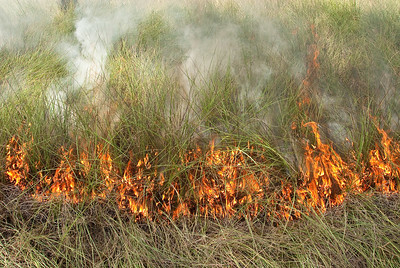 Fire is an essential disturbance in these habitats. 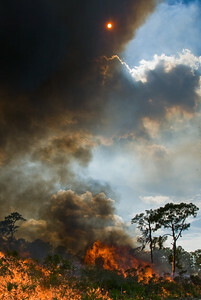 A prescribed fire at Archbold Biological Stations darkens the sun. 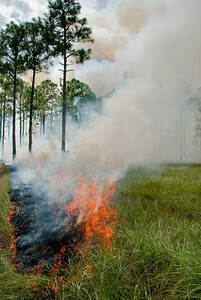 Prescribed fire in a cutthroat flatwood at Archbold Biological Station, Florida. 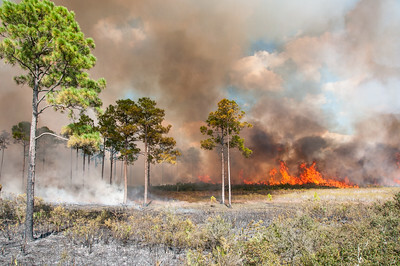 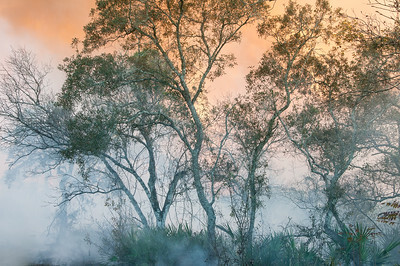 Smoke and fire obscure the horizon in a prescribed fire at Archbold Biological Station, central Florida. 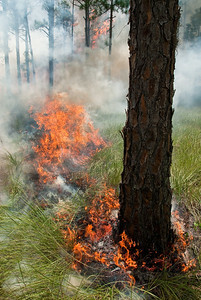 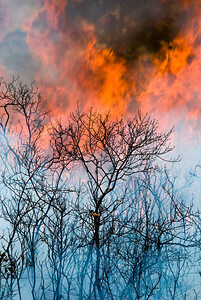 Back fire and head fire move through a scrubby flatwood during a prescribed fire at Archbold Biological Station. 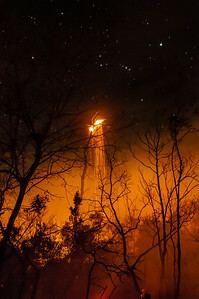 A burning snag emits a shower of sparks well into the night. 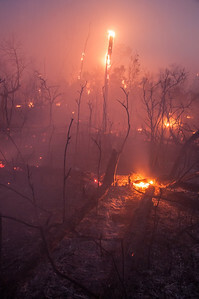 A prescribed fire continues to burn into the night at Archbold Biological Station. 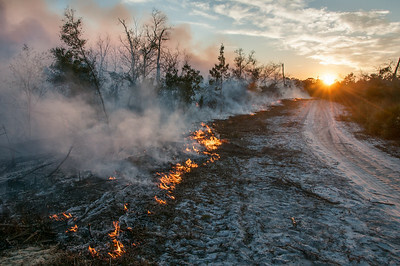 A prescribed fire begins to die down as evening approaches. 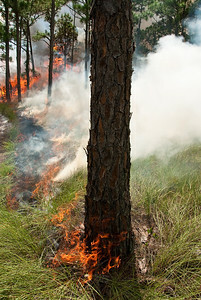 A small oak is enveloped in a wall of flame during a prescribed fire at Archbold Biological Station. 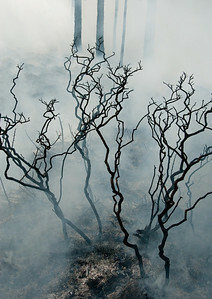 A small oak copse enveloped by smoke during a fire. 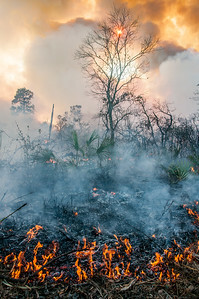 The sun through the smoke of a prescribed fire at Archbold Biological Station. 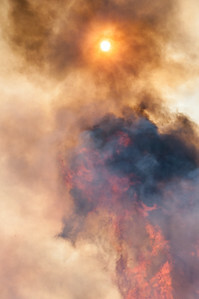 The sun through the shimmer of heat and smoke during a prescribed fire. 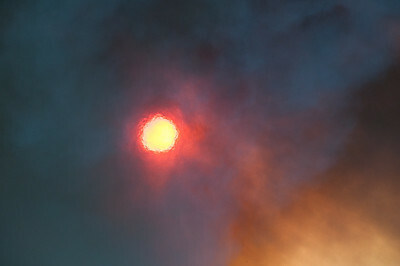 The sun through the smoke of a prescribed fire. 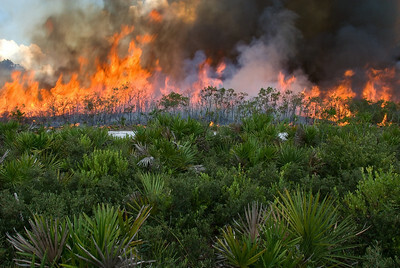 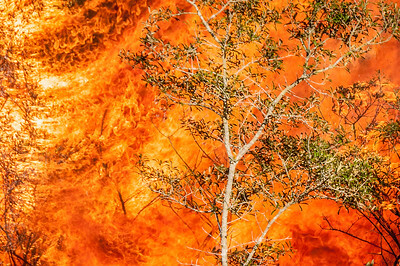 Flames roar through overgrown scrub during a prescribed fire.